One Island One Voice will host a massive beach cleanup to confront the "Garbage Emergency"
"Garbage emergencies will stay emergencies unless action is taken." There is an alarming juxtaposition between the Bali of travel magazines and Instagram feeds and the reality unfolding on the island’s most popular beaches. Bali has become a battleground for both natural (ash-spewing volcanoes) and man-made (pollution) threats to the environment, economy and society. Digitally migrate to your preferred internet search engine and type the words “Bali plastic emergency” into the browser and you’ll get the idea. Just before the New Year, Bali declared its beaches are in a state of “garbage emergency” as the daily plastic inundation intensifies to crisis levels. A 3.6-mile stretch of shoreline along the island’s western coast — a hotspot for the tourism industry — is now officially an emergency zone. 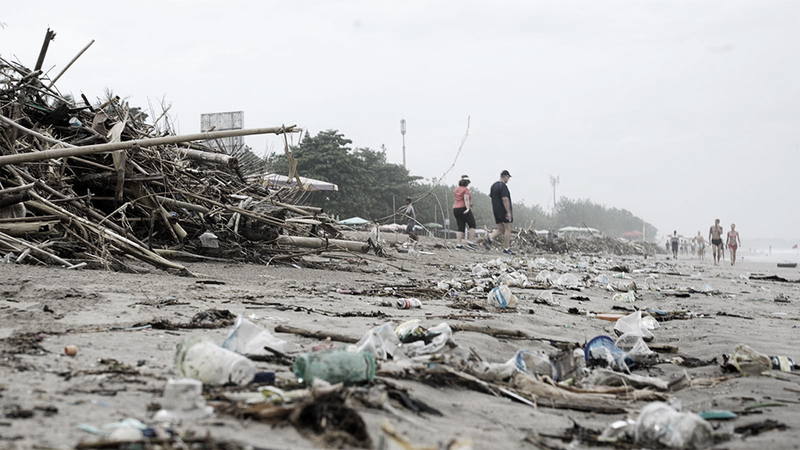 At the peak of cleanup efforts on Jimbaran, Kuta and Seminyak beaches, workers were reportedly removing up to 100 tons of rubbish day after day. Plastic pollution has been worsening in Bali for several years, posing a serious threat to both people and the planet. The complex issue exposes a dangerous disconnect between industrial priorities and the environment — and the consequences of this conflict on human health and a culture that is spiritually rooted in the natural world. In Bali and other pollution hotspots around the world, garbage emergencies are urgent reminders that we need to act now. 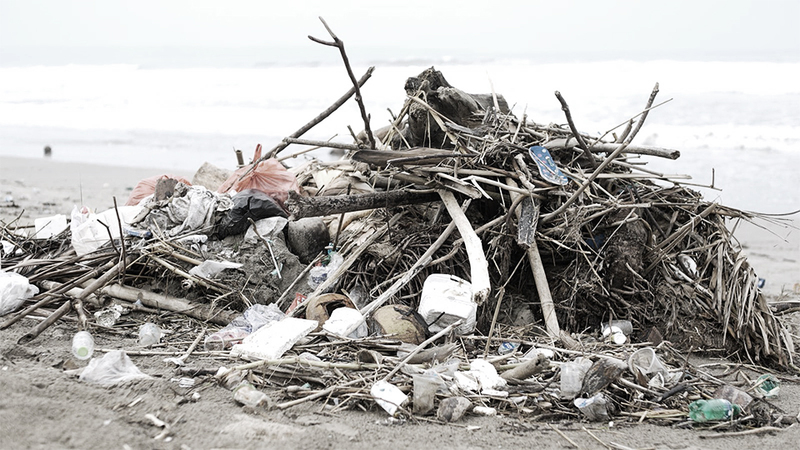 Sources of the pollution along Bali’s coastlines vary from insufficient waste management infrastructure to a lack of policy, awareness and education among businesses, tourists and citizens, in Bali and beyond. Though the problem is shockingly evident in Bali, the situation can be seen as a microcosm of the global issue. Everyone everywhere — every nation, industry and individual — contributes to marine plastic pollution in one way or another. There are no boundaries in the oceans. A garbage emergency is a symptom of a global illness. It is on all of us to fix this. Prior to the globalization of commercially manufactured single-use plastics, much of Indonesia’s waste was degradable by nature. Coconut husks and banana peels behave differently from plastic bags once discarded. Today, “Indonesia is the second biggest maritime plastic polluter in the world after China” and accounts for more than 10 percent of the eight million metric tons of plastic entering the world’s oceans each year (source). The nation is home to the most polluted river in the world, the Citarum River in West Java, through which detritus flows from households and factories to the Java Sea. Bali’s government has taken steps to address the issue, largely following pressure from local NGOs. Last year, Parley collaborators and AIR Pledgers Bye Bye Plastic Bags, an organization founded by teenage sisters Melati and Isabel Wijsen, convinced Bali Governor Mangku Pastika to commit to a ban on polythene bags by 2018. Policy and awareness are imperative. So is direct action. Parley members have been on the ground investigating and documenting Bali’s pollution crisis to better understand its sources, consequences and ways to empower the resistance. With the goal to collect data and support those who are keeping the pressure on for solutions, we are partnering with One Island One Voice for this year's cleanup. One Island One Voice, an initiative led by Parley collaborators Bye Bye Plastic Bags, will host a massive beach cleanup on February 24, 2018. They are expecting over 20,000 participants in 100 locations to take part.